One of the most abundant pinnipeds in the Northern hemisphere. They have a circumpolar range. In the Atlantic Ocean they range as far south as Florida but are mostly concentrated in the north Atlantic from Greenland south to Massachusetts. In Europe they range from Norway to France. North Pacific animals can be found from California to Nome, Alaska including the Aleutian, Pribilof and Commander Islands. 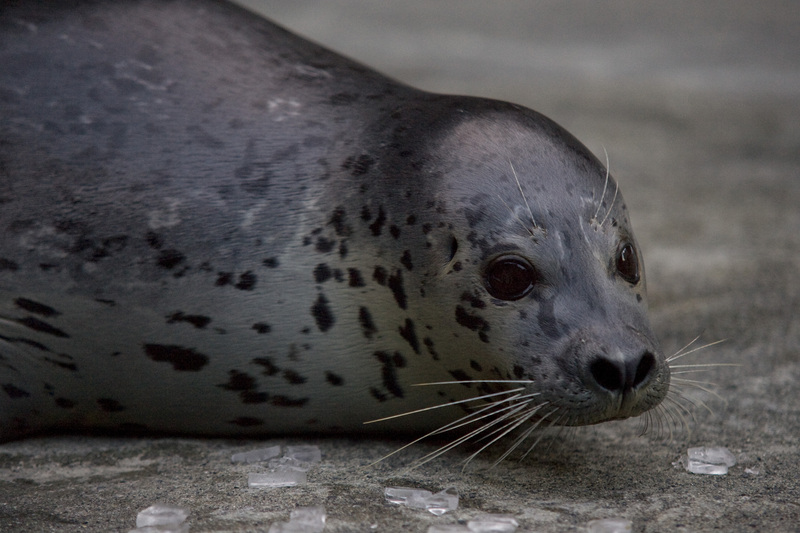 Harbor seal populations are relatively stable worldwide, but have shown declines of around 80% over the past 30 years in the arctic regions. Their population in Alaska is considered depleted. The ASLC has been a part of various research projects to find answers for these declines. Harbor seals pup at about the same time every year, between mid-May and June. The female chooses a male to mate with, and her single egg is fertilized at this time, but does not implant in the uterine wall until about three months later. 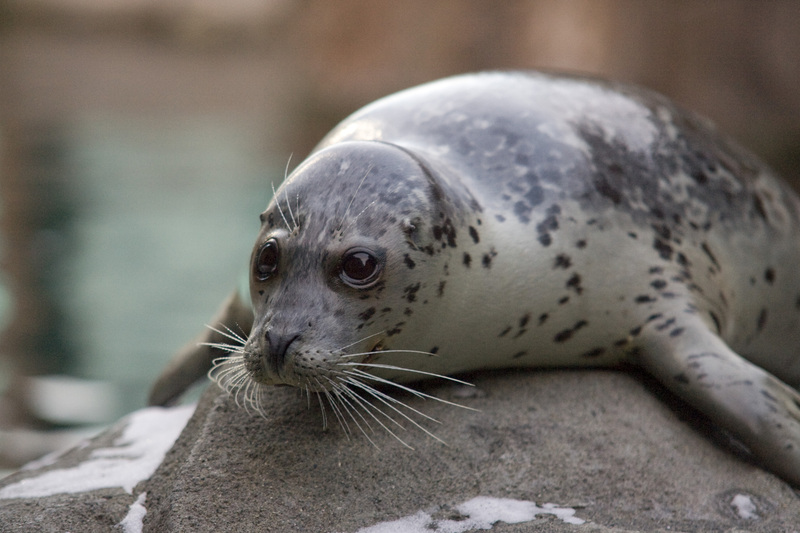 This process is called delayed implantation, and allows harbor seals birth at the same time every year. Found in both fresh and salt water environments and temperate and subarctic regions. They frequent estuaries and intertidal zones and will haul out on sandbars, rocky shores, mudflats, log rafts, piers and ice floes. A female gives birth to one pup a year. Pups can swim very quickly after birth, grow rapidly and within about 6 weeks are usually weaned and on their own. Males and females reach sexual maturity at 3-6 years. Seals in aquariums tend to live longer lives and are documented to live into their 30’s where wild counterparts don’t live as long.